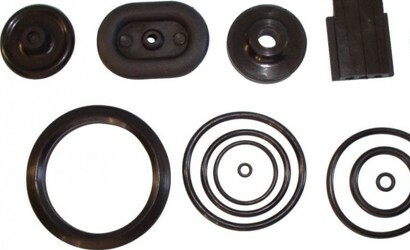 Accurate Rubber Corporation manufacturer and supplies premium quality custom designed Rubber Diaphragms, Silicone Diaphragms, Diaphragms Seals, Fabric Reinforced Diaphragms, Homogeneous (All Rubber) Diaphragms as per customer specification. Diaphragms facilitate process to transmit the pressure from fluids, however it contains the fluid itself and prevents leakage which makes diaphragms very critical part of many industrial processes like flow regulators and fluid control valves. Silicone Diaphragms widely used in pressure sensors because it offers high level of sensitivity to fluid changes and it helps to converts fluid flows to electrical signal. We can design and manufacturer Diaphragms which can handles different kind of industrial fluids including gas, water, fuel, etc. It can also be combined with processes which involves refrigerants, high temperatures substances like brake fluids or vehicle fuels. It can also be used for potable water supplies. 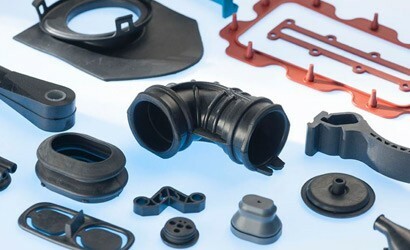 Our rubber silicone diaphragms are custom designed for each unique application factoring in fluid interactions, pressures and vacuums, mechanical requirements and dynamic life to ensure performance requirements are achieved. Fabric Inserted layer in Fabric Reinforced Diaphragms offers excellent strength against high pressure while also maintain flexibility in process. 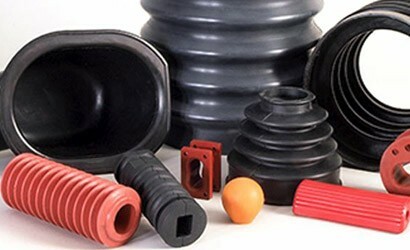 For low pressure application Homogeneous (All Rubber) Diaphragms are used. We can also bond metal or plastic to Rubber Silicone Diaphragms which saves assembly cost and offer durability with excellent seal. 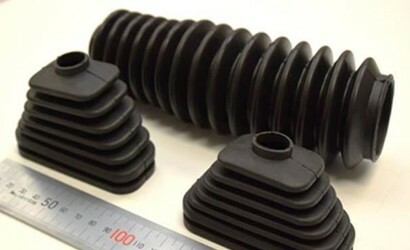 As complete solution provider for your custom rubber part requirement we also offer designing, engineering, prototype development and 3-D printing services. For making customer project successful our technical staff directly work with you. Where Silicone Diaphragms can be Used ?? What are your Material Selection ? For getting a Free Quote, please contact us with your CAD drawing or sample of your Diaphragms. Our team will work with you for make your project successful.